Last week, I grabbed lunch at Whole Foods. We were on the verge of “hangry,” so a couple of treats ended up in our shopping basket, including a box of Better Bites, a “top 8 allergen-free” treat from a bakery located in Austin, Texas. This post is not sponsored in anyway; Kerrie had just heard they were good, so, of course, we needed to see what they were all about. I mean, taste-testing new healthy products is all part of the job! 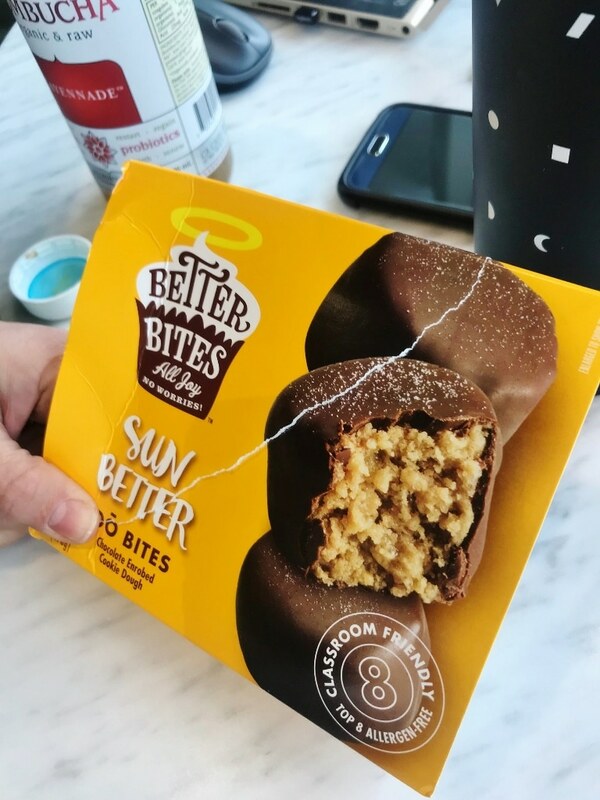 Well, the “Sun Better” bites were 8 million times better than I expected them to taste. I’m not even kidding you, I probably said, “Ohmigod, these are so good” like 10 times while eating one, which is another awesome thing about these little treats. They’re actually a good size, so they’re not gone in a single bite. 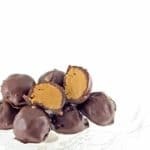 You truly have a chance to enjoy it, which also inspired my Chocolate-Covered Peanut Butter Protein Truffles recipe below. I wanted to make a tasty treat that is rich and wonderful, but not gone in a hot second. 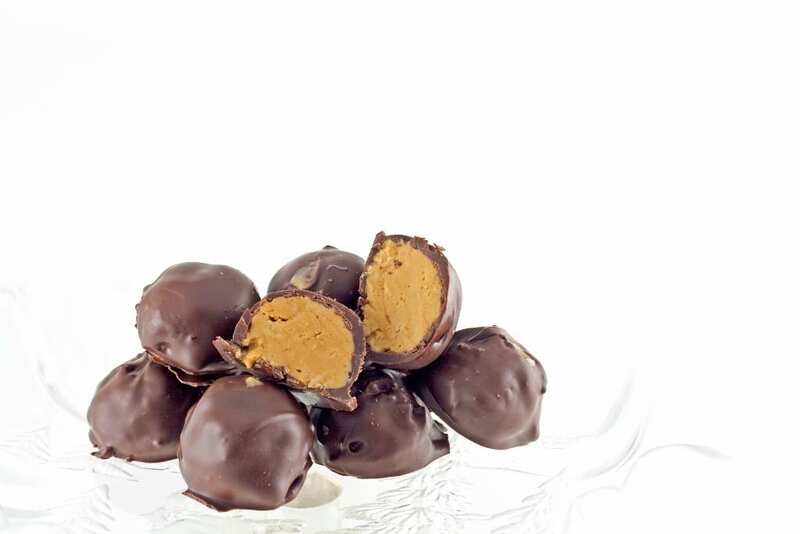 In addition to being a substantial treat, these Chocolate-Covered Peanut Butter Protein Truffles are so ridiculously easy to make. 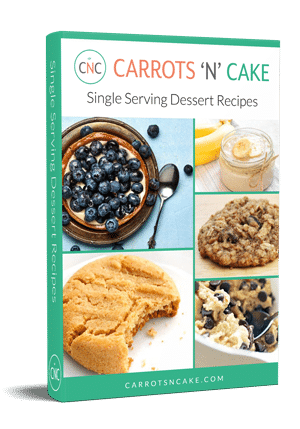 They only call for 6 ingredients (and you could probably skip the vanilla extract if you really wanted to) and most of them you probably already have in your kitchen. 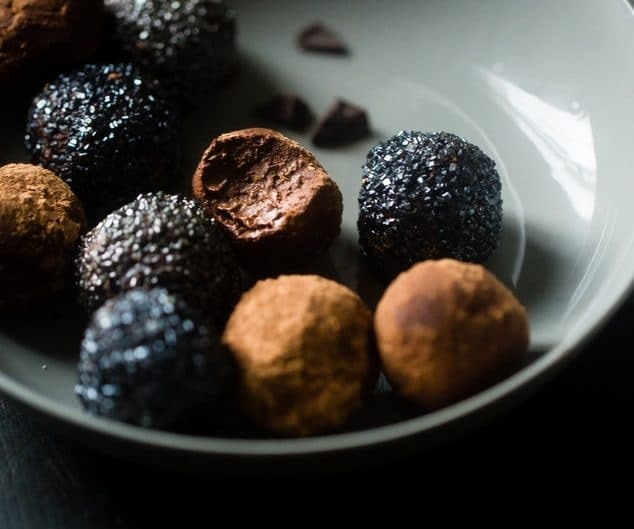 I’ve made these truffles again and again – in large part because of their fast factor, but also because they’re a legit dessert. I typically feel satisfied after eating just one. 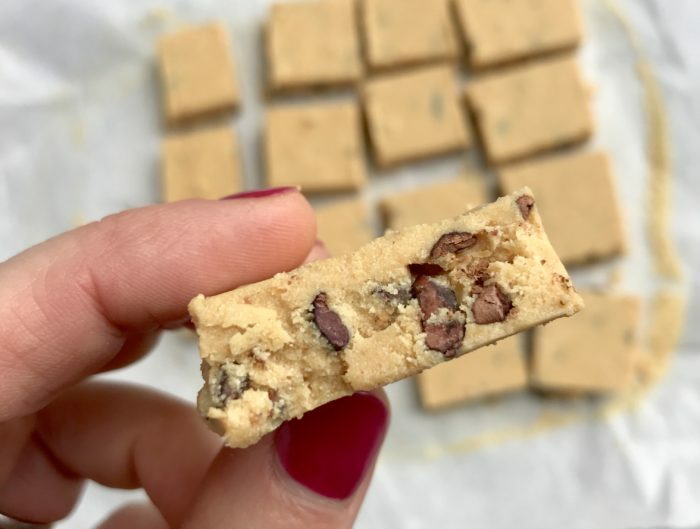 Plus, they are endlessly customizable by switching up the peanut butter with another favorite nut butter, protein powder and extract flavors, kind of chocolate coating you use, or by giving them a tasty coating of sprinkles, cocoa powder, or chopped nuts. The possibilities are endless! And, finally, these little bites of heaven have an awesome macronutrient breakdown with 5g of protein, 8g carbs, and 10g of fat, which means they’ll easily “fit your macros” without blowing up your day. 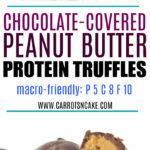 I hope you guys love these Chocolate-Covered Peanut Butter Protein Truffles as much as we do. They’re definitely a treat that’s here to stay in our house! Thanks so much for sharing and providing the macros! Do you know how many calories are in them? Thank you! 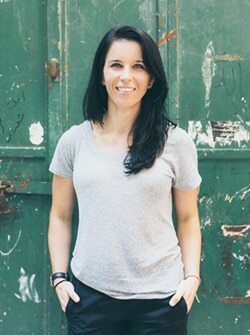 @Tina: Thank you for your help! Jeez, this may be the tastiest looking recipe on the whole site! Those things look amazing! these turned out awful!! both the filling and chocolate were super runny? any suggestions bc i was really looking forward to this recipe! Oh, no! What type of coconut oil did you use? It sounds like it was maybe coconut cooking oil because it didn’t harden? thanks for getting back with me. I used expeller pressed spectrum organic cooking oil (solid). Do u have any recommendations of a type of oil i should use next time? Any solid coconut oil should work. Did you refrigerate the balls before and after coating in chocolate? Looks delicious! However, I would replace the salted peanut butter with unsalted one like those from Trader Joe’s, and the 2 tbsp of brown sugar with 1 tbsp of raw honey to make these treats healthier. I can’t believe that desserts this yummy can be so good for me, loosing weight has never been this easy lol. Wow It’s Yameeee! I have the pleasure of reading the article very carefully. I learned this as a fascinating and fascinating message and I think it is very valuable and instructive. 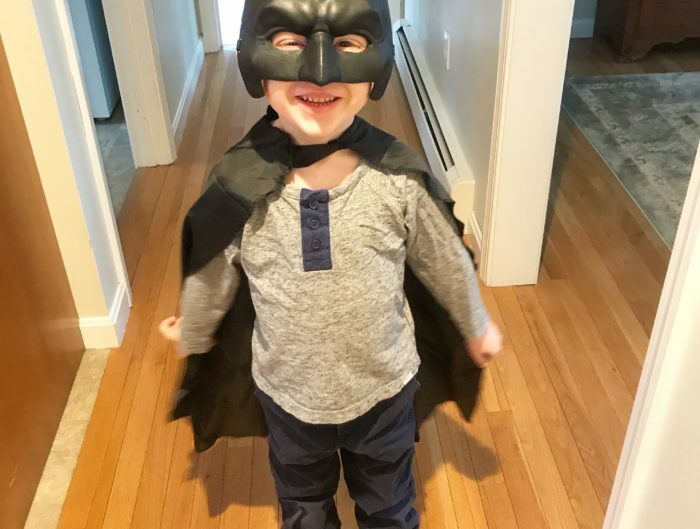 I am grateful for their efforts in creating this article. These are absolutely delicious! Mine turned out fine. I even threw the balls in the freezer for 20 min to save time and they turned out well!